This visa is issued for tourism purposes or for visiting relatives and friends in Canada. When someone wants to go to Canada for a short period of time, usually less than 6 months, they have to get a Temporary Resident Visa (TRV). Within this group of visas, there are different types depending on the reason why you want to go to Canada. One of these types is the Visitor Visa which is also known as a Tourist Visa. What is a Canada Visitor Visa? The Canada Tourist Visa allows you to go to a Canadian port of entry and ask for permission to enter the country. The Border Patrol Officers are the ones who are allowed to grant or deny you entry based on your documents and your situation. If you have been given a visa and the officers find that you do not have any criminal intentions, you will be allowed to pass the port of entry and begin your holiday or family visit in Canada. Do I need to Apply for a Canada Visitor Visa? What are the Canada Tourist Visa Eligibility Criteria? To be eligible for a Canada Tourist Visa, the applicant must fulfill some criteria. These requirements determine whether someone is allowed to apply for the visa and hold it. Be at least 18 years old to apply as the primary visa applicant and your children who are under 18 years old cannot apply alone. Have a valid government-issued passport with at least one blank page that is not the last page of the passport. Translate and certify all the documents that you have that are in another language other than English or French. Have a clean criminal history and submit court documents to prove it. Be ready to pay the necessary Canada visa application fees and visa processing fees. Sign and date the appropriate documents where necessary. Fill and sign a Visa Application Center (VAC) Consent Form. Submit copies of your current immigration status in another country or in Canada. Have enough funds to cover your stay in Canada. Be ready to attend an interview or give biometric information if necessary. Be ready to go through a medical examination if the Canadian Consulate asks you to. For Visitor Visas, this is usually not required unless you have some form of the disease which the Consulate needs to have proof of. Prove that your stay in Canada is temporary and that you will return to your home country once your visit is over. Prove that you do not plan to work or study in Canada. 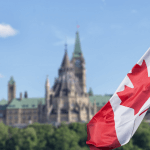 If you cannot prove that you are eligible for the Canada Visitor visa, then they will reject you based on the fact that you are inadmissible in Canada. If you are proven to be inadmissible, then your only way of getting into the country is to get a Temporary Resident Permit. How to Apply for the Visitor Visa? To start the application for the Canada Visitor Visa, there are several forms and steps that you as the applicant must go through. The steps are explained below. To get this TRV Canada visa, you must confirm that you are eligible on the Government of Canada website. When you get to the website, click on the tab Immigration and then Visit. In the site, you will see the link to “Find out if you need a visa”. You must click on this link and answer the questions on the survey. The Embassy officials will stamp your passport and will return it to you. From that point forward, you can go on your visit to Canada and make travel arrangements. Standard requirements for Canada visa. Canada Tourist Visa Application Form. Your travel history, meaning your whole passport scanned to also prove that you have blank pages in it. Your bank or other financial statements to prove you have enough funds for the trip to Canada. A travel itinerary if you have already booked your tickets, or just a description of what you plan to do once in Canada. A Canada visa letter of invitation from your family or friends if you are visiting them. Proof of the relationship if you are visiting your family. The immigration statuses of your family or friends if you are visiting them. Bank statements or other financial statements of your friends or family if you are visiting them. A Declaration Letter from you to the Government of Canada where you explain why they should give you a visa. Two photos that meet the Canada Photo Requirements. What are the Canada Visitor Visa fees? The application fee per person for a Canada Visitor Visa is CAD$100. If you also have to submit the biometrics, that will cost you an additional CAD$85. So together, the whole cost of just applying for this visa is CAD$185. 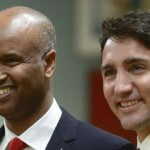 In addition to this, you will also have to pay for the passport processing which will cost around CAD$45. What is the Canada Visitor Visa processing time? The Canadian Visitor Visa processing time is different depending on the country you live in. However, the general processing time ranges from 8 to 40 days. So, you will have to wait around 1 month for your Visitor Visa to be processed. How long is the Canada Visitor Visa valid? The Canadian Consulate decides for how long to give you the Visitor Visa on a case by case basis. There are cases when they only give the visa for that timeframe that you want to visit Canada, and then there are also cases when they give you the visa until your passport expires. This all depends on whether they believe you will return to your home country or not. Despite how long your Visitor Visa is valid, you are not allowed to stay there for more than 6 months at a time. So, after 6 months you must return to your home country, stay for some time and then you can return to Canada again for 6 months. What Am I Allowed to do With a Canada Tourist Visa? With the Canadian Tourist visa, you are allowed to travel around Canada for less than 6 months as long as you are in good financial standing. 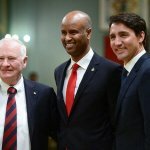 You are not allowed to get Canadian documents or stay in the country permanently. You are also not allowed to work or study, and you will not be allowed to file for health care or other governmental benefits. 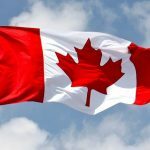 Can I bring my dependents to Canada with a Tourist Visa? Your dependents, such as your spouse and minor children can come to Canada with you with a Tourist Visa. However, they must have their own application, and everyone should pay separate fees. You must submit the applications together at the Visa Application Center or online so that you are processed as a family.